The focus for the Distance Education Team is to provide better access to research-based information for Extension clients using distance learning. The Extension Service’s commitment to interactive learning already places the Extension Service as the leader in the state and at the forefront of Extension Services throughout the nation. This team is responsible for Extension online courses and interactive video conferencing capabilities and support to over 150 sites around the state and other Extension partners including Mississippi Cattlemen’s Association, Mississippi Farm Bureau, and the Mississippi Department of Agriculture and Commerce. The team is also responsible for supporting the use and availability of satellite downlink receiver units for internet communication, video conferencing, and emergency response use in the field. The need and desire for online courses and trainings are steadily on the rise. By providing Extension programs, trainings, certifications, and educational courses online, Extension clientele can participate and learn at their convenience, no matter where they are. For more information, call Distance Ed at (662) 325-4834 or email DistanceEd@ext.msstate.edu. Zoom is a web conferencing program that can be used for eLearning, webinars or online meetings. Using Zoom will enable interactions and ultimate collaboration to ensure work gets done efficiently and quickly. With Zoom, users can share computer screens, utilize whiteboard capabilities, post polls, take advantage of the chat option, record meetings and much more. Zoom only requires a computer, high-speed internet, and a web browser. A webcam and microphone are not necessary but could be beneficial depending on the type of meeting. Zoom is compatible with most of Extension’s Interactive Video Conferencing systems; call for specific details. For more information, call Distance Ed at (662) 325-4834 or email DistanceEd@ext.msstate.edu. All 82 counties in Mississippi have at least one video conferencing unit, while some counties have multiple units. 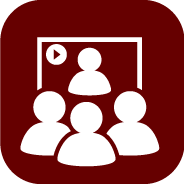 There are over 150 interactive video conferencing sites in Mississippi that are supported by Mississippi State University Extension Service. Through interactive video conferencing, users can attend presentations, proposals, planning meetings, trainings, dissertations, or classes. There are several options for video conferencing that will fit most needs: classroom settings, portable video conferencing units, and a satellite unit to create a learning environment from almost any location For more information, call Distance Ed at (662) 325-4834 or email DistanceEd@ext.msstate.edu. Scopia Desktop is a web browser plug-in that allows users to connect to a video conference from any location with a high-speed Internet connection. A computer, webcam, and microphone are the only things needed. 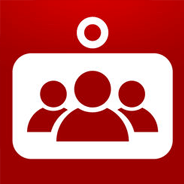 Users can also use the free Scopia Desktop App to connect to a video conference from any smartphone or tablet. With Scopia Desktop, a computer, smartphone or tablet can connect to any MSU Extension Service video conference unit. For more information, call Distance Ed at (662) 325-4834 or email DistanceEd@ext.msstate.edu.